Years ago, the Lord showed me these verses and told me that if I will seek Him through His Word on a daily, consistent basis – receiving His teachings and instructions with a willing heart and mind – He would not have to continually use my circumstances to discipline me. This is because, it is the Word of God that trains us to recognize, and become more sensitive to, the voice of God and His Spirit’s leading. It is God’s Word that renews our minds, and enables us to see people and things from a godly perspective, rather than from a worldly perspective. You could say that the Word “reprograms” us, so that we can walk in agreement with God, and His plans and purposes for our lives. As we become more sensitive to the Lord’s instructions, He grants us divine revelation and insight that enables us to enter into His peace and rest, right in the midst of adversity, so that we can experience a sense of security and stability that the world will never know. God gives us a “knowing” that all of the schemes and evil tactics of the wicked will come to nothing in the end. (Psalm 112:10) And He reassures us that He will cause every difficulty that comes our way to profit us and promote us, so that He can use us in greater ways to advance His kingdom. I encourage you to give the Lord plenty of opportunities to teach and instruct you through His Word. It will be well worth the effort when you experience how He will give you “power to calm yourself and find peace in the days of adversity.” Then you can watch from a place of safety and tranquility how the Lord will fight your battles and win the victory for you! Lord, show me how to give You plenty of opportunities to discipline and instruct me through Your Word on a regular basis, so that You don’t always have to use my circumstances to teach and correct me. Help me to read Your Word for myself, and to spend time in total stillness before You, listening for Your voice. Remind me often that it is Your truth that renews my mind, and enables me to see things from Your perspective, instead of the world’s. Thank You that as I cooperate with You in this process, You will bless me “with wisdom and prosperity,” as well as power to remain calm and peaceful, even in the midst of adversity! 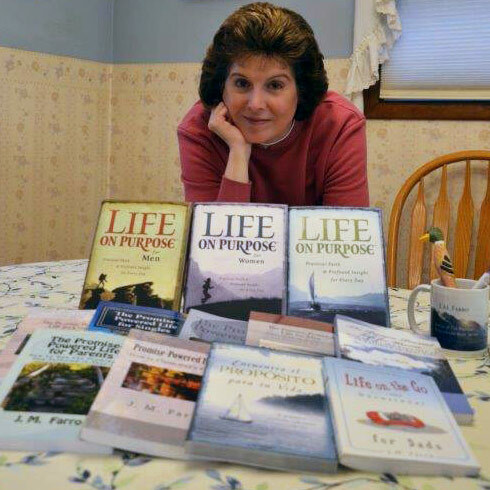 *For information on how to purchase J. M. Farro books, including her new book for Couples, click here! *Join the new J. M. Farro Devotionals group on Facebook, and connect with J. M. Farro — with all-new mini devotionals in addition to the standard weekly devotionals. You can access this group by clicking here! Asking prayer for health and stronger faith, a closer walk with God, protection for my family as well as myself. Thank you.